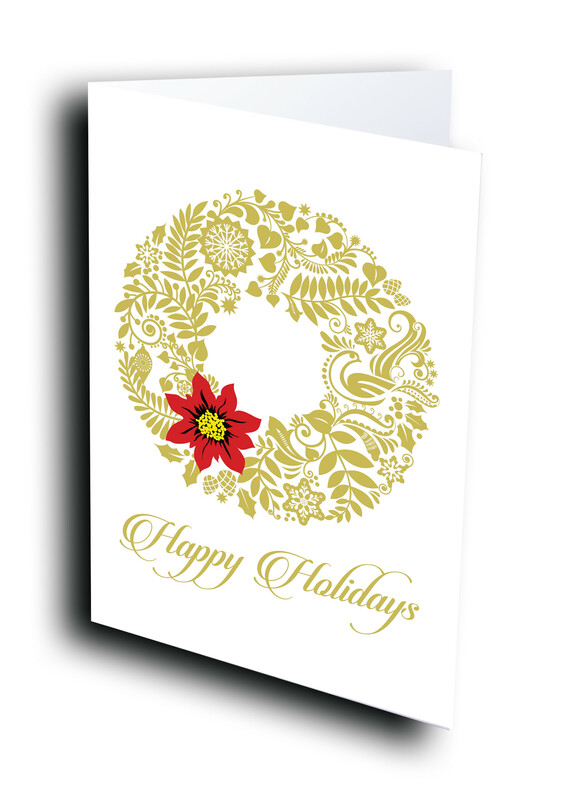 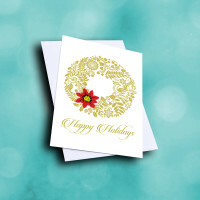 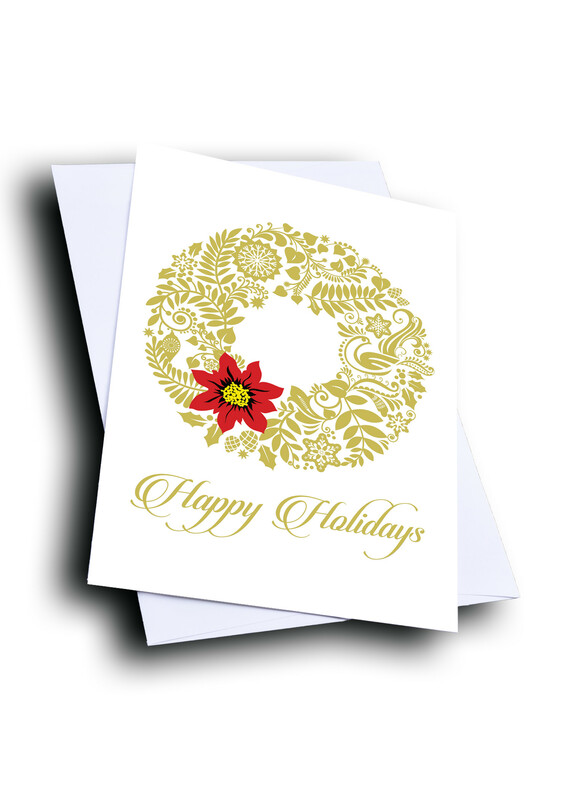 Say "Happy Holidays" to those around you this season with this classy wreath greeting card. 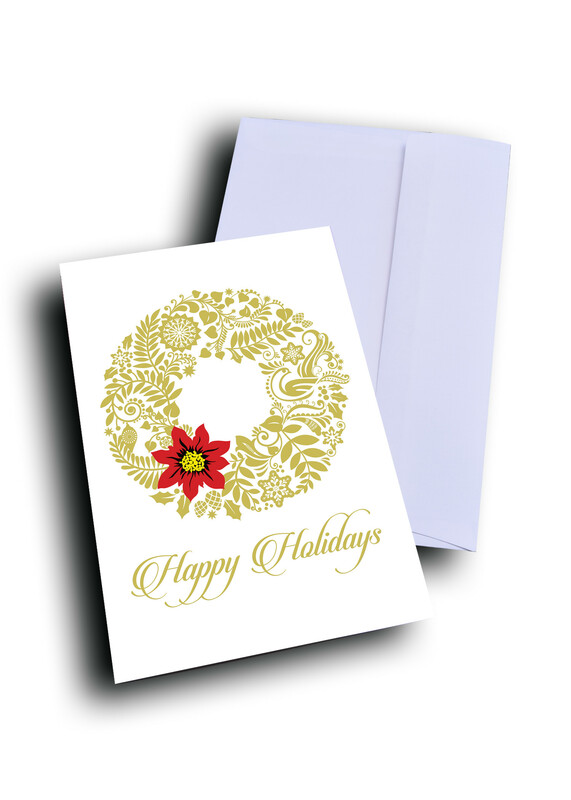 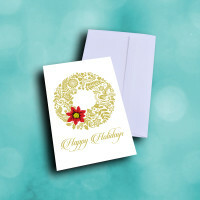 A card both simple and elegant, this holiday greeting card will bring some festivity into the lives of those who matter to you. 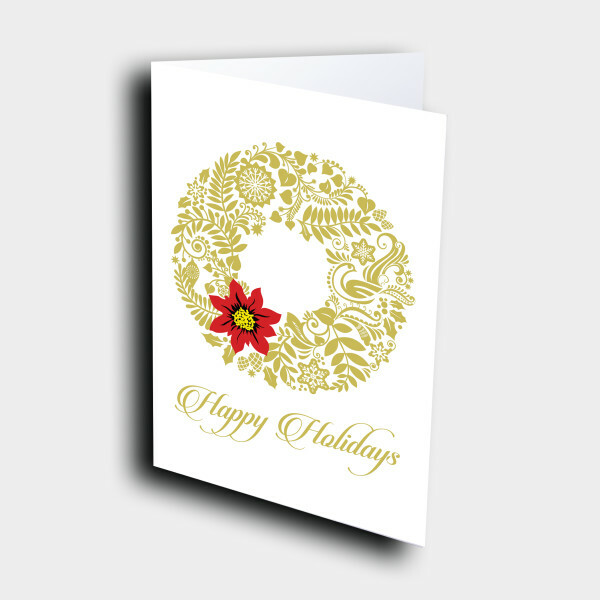 The golden wreath adorning the front is beautifully made up of detailed leaves and designs, with the red flower adding a bright spot of color. 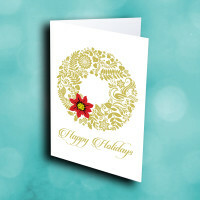 The inside features a pale-blue background adorned with snowflakes, as well as a classic message. 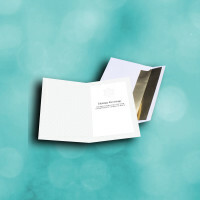 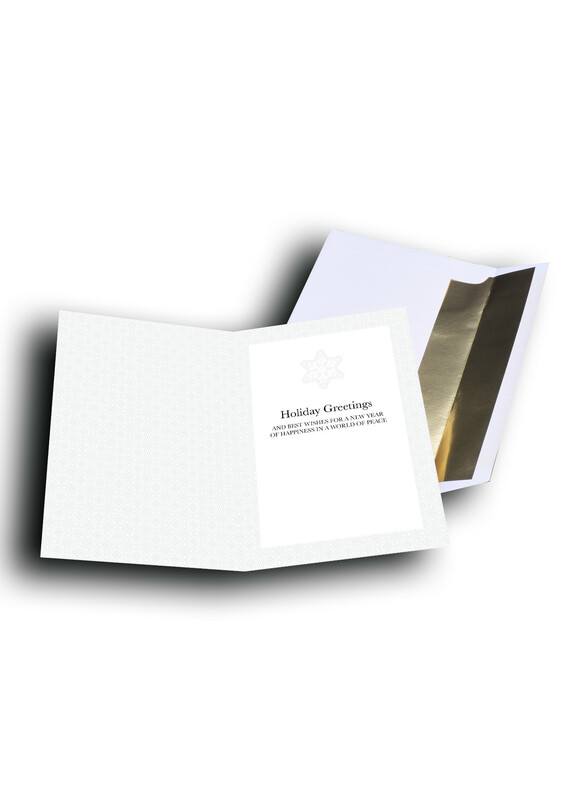 The card can also be personalized to make it unique and individualized.